Come see this fantastic 5BR/3BA lake home on Jackson Lake. Home has beautiful hardwood floors throughout and tile floors in all bathrooms. The living room/den has a huge masonry fireplace, exposed stained beams, and a beautiful wooden ceiling The walkway for the upstairs overlooks the den/living room and has a fantastic view of the lake. 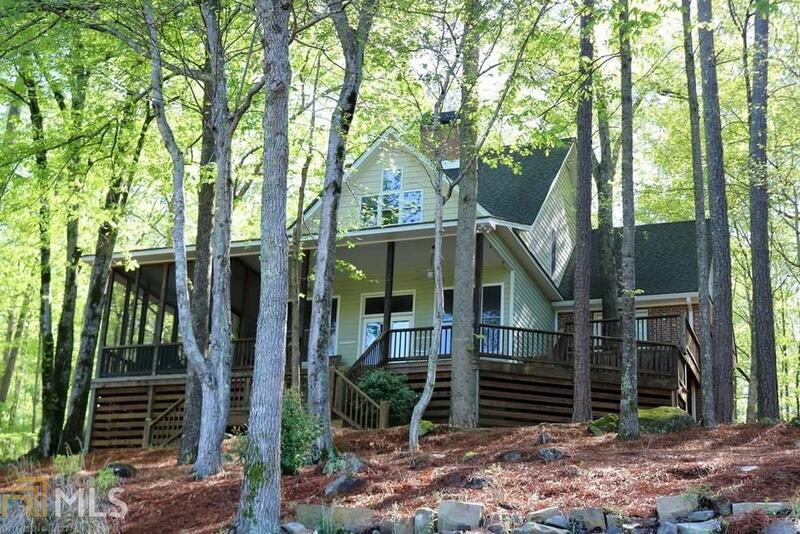 The lake side of the home has a huge partially screened in porch that is great for entertaining. The gravel driveway has plenty of parking and goes around the house and down to the lake where there is a concrete boat ramp, fire pit and a huge stationary dock with storage in the top for all of your lake equipment . The property is on great deep water in a quiet cove just off the main section of the lake.